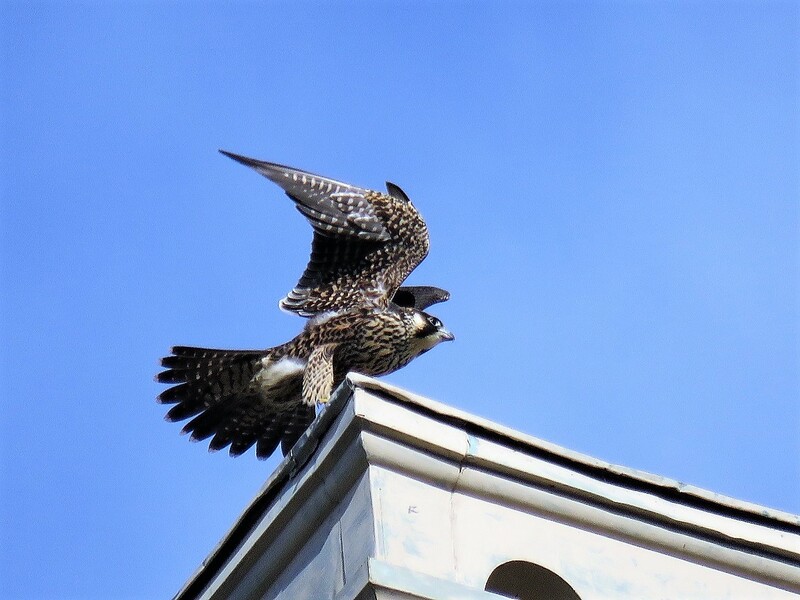 As we previously reported, we received word that Seth had passed away, but we had no details from the Department of Environmental Conservation (DEC). 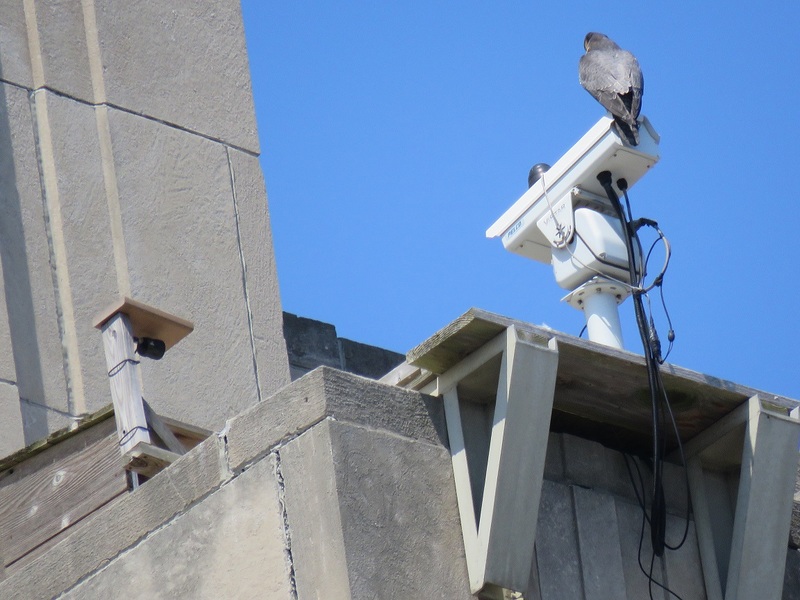 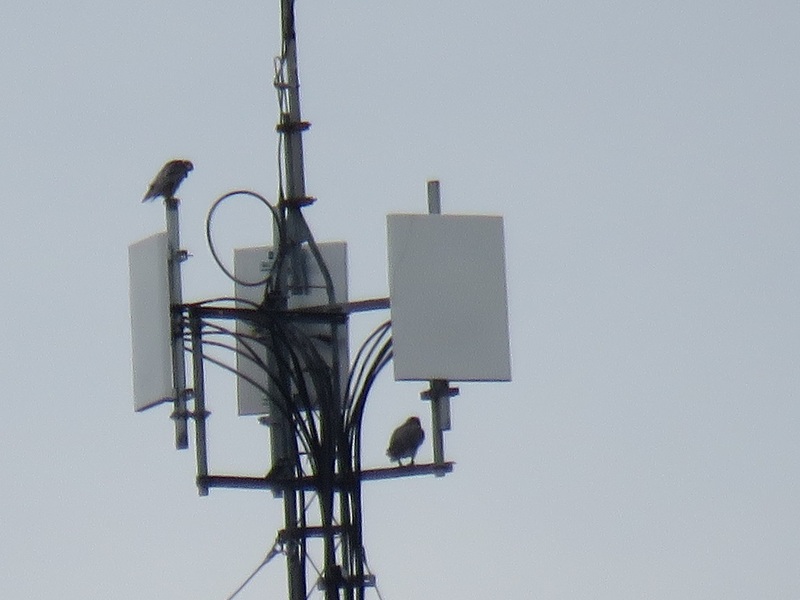 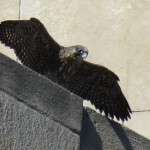 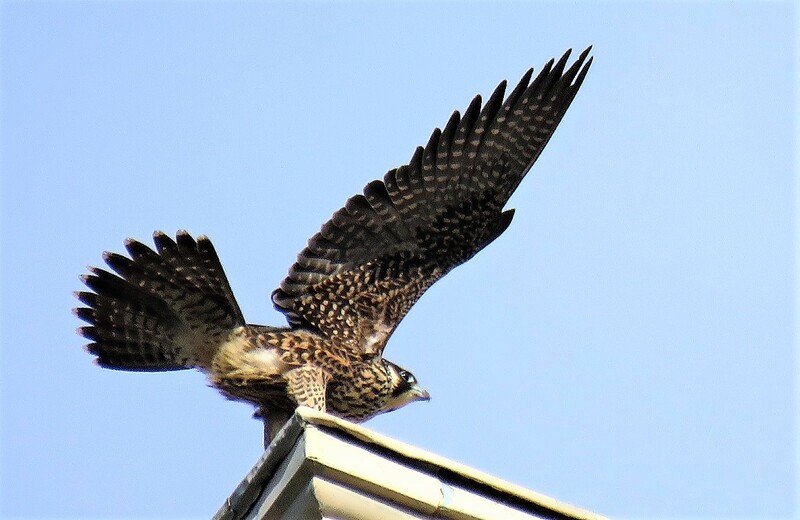 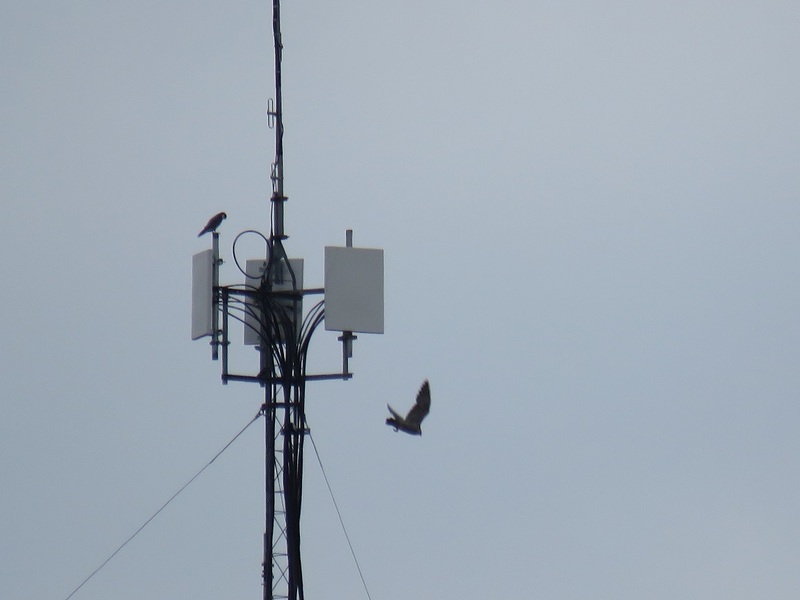 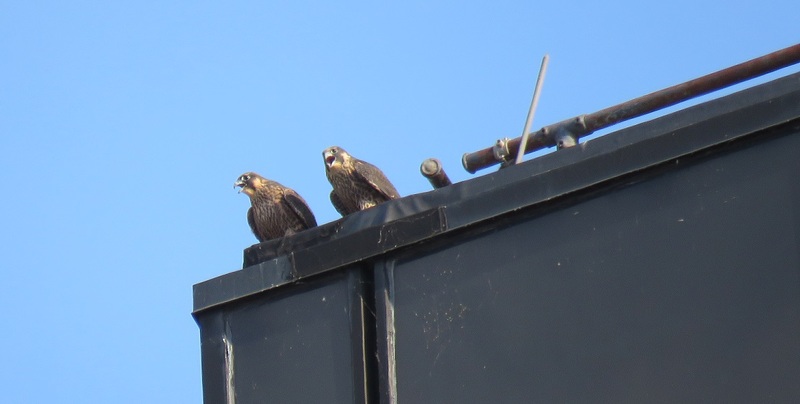 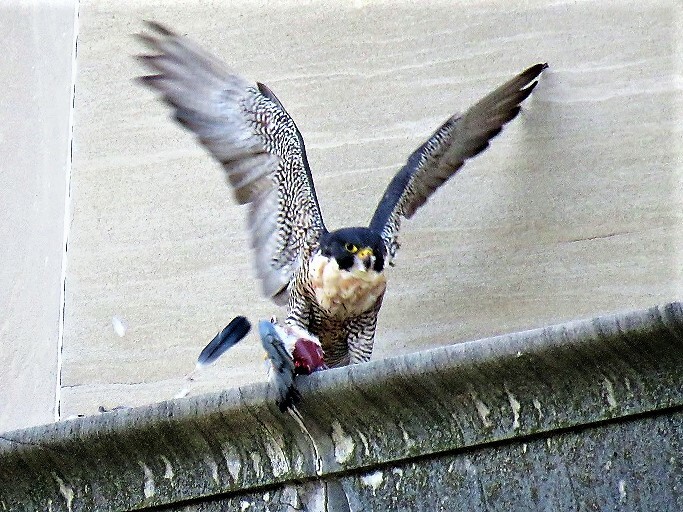 Today June Summers, President of the Genesee Valley Audubon, received the following information from Jenny Landry at the DEC.
On a happier note, Rochester Falcon Watcher Carol P reported seeing two falcons at Seneca Towers this morning. 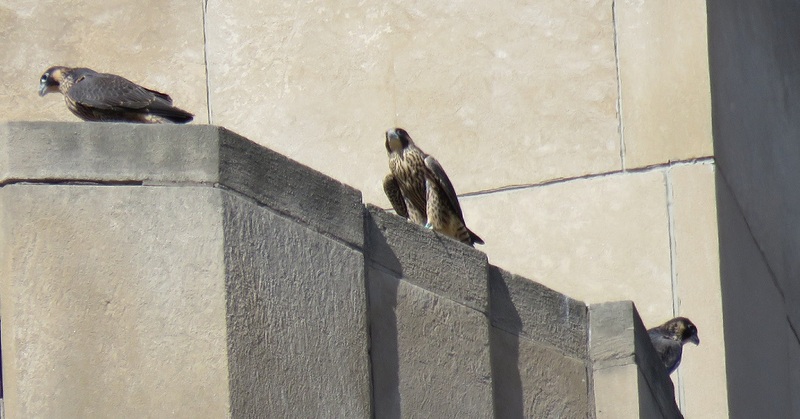 We hope this means that Billie has found a new mate. 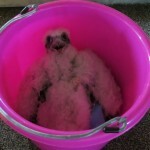 At this very sad time, after losing our good friend Donna, we have to report that Seth passed away. 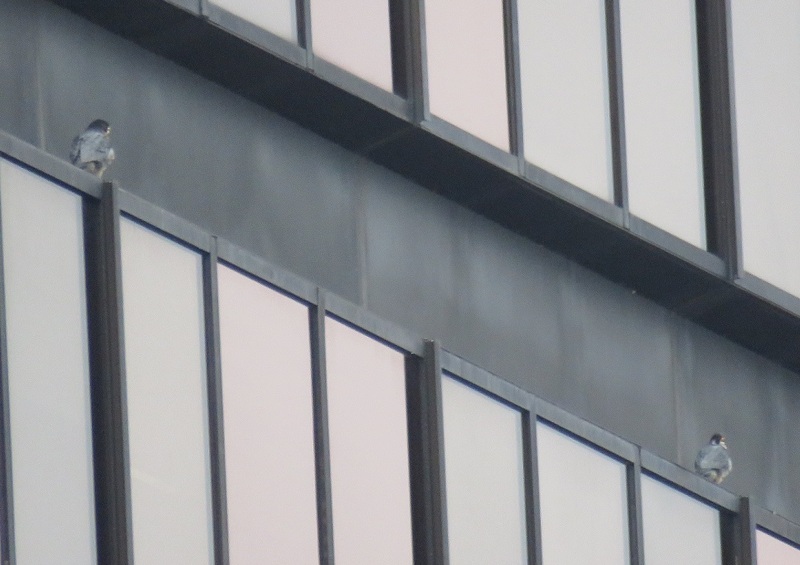 At this time, we cannot report any details. 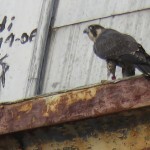 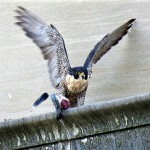 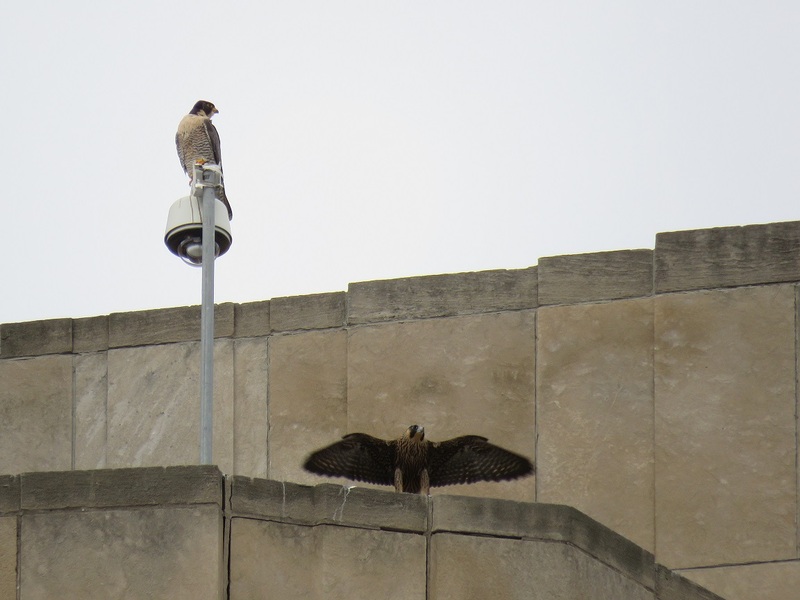 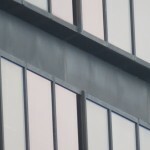 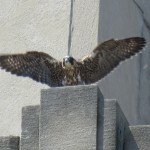 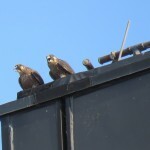 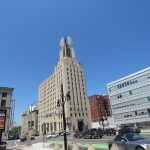 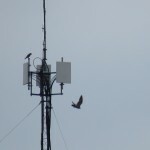 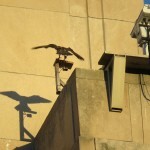 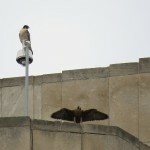 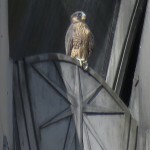 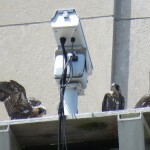 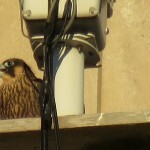 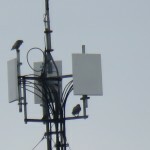 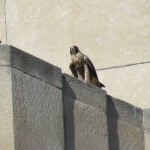 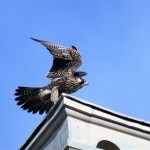 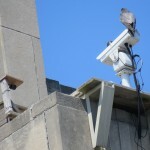 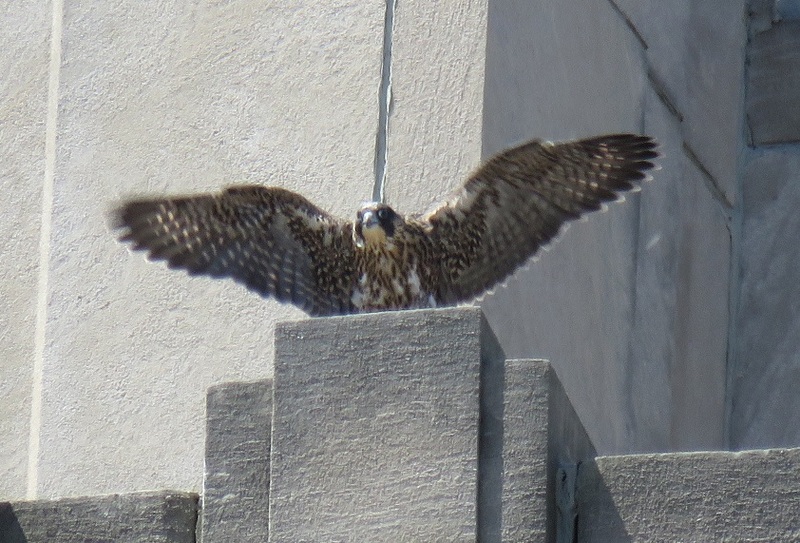 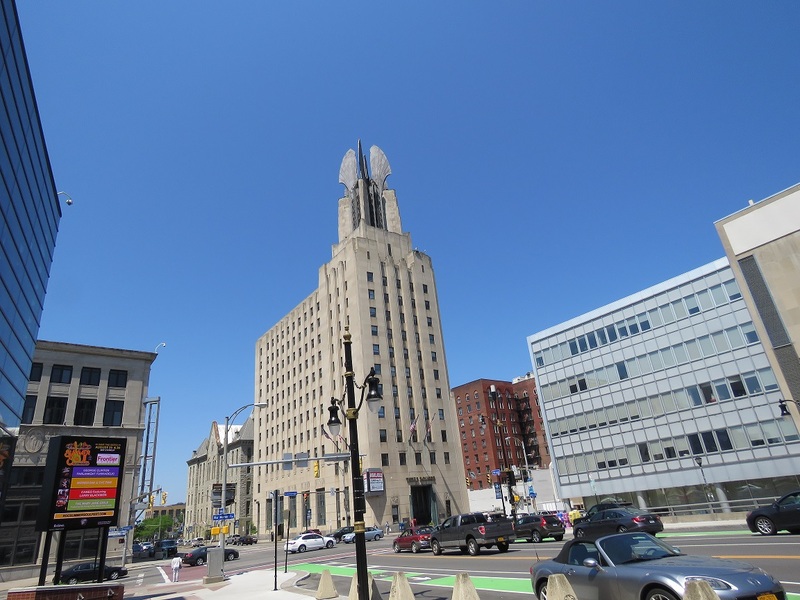 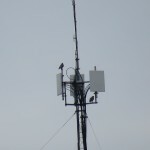 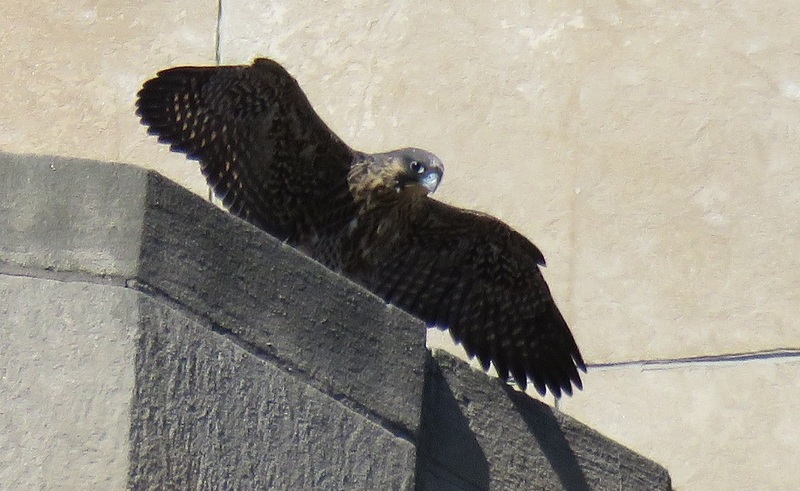 Rochester Falcon Watcher Pat reported seeing a 2nd falcon at Seneca Towers today. 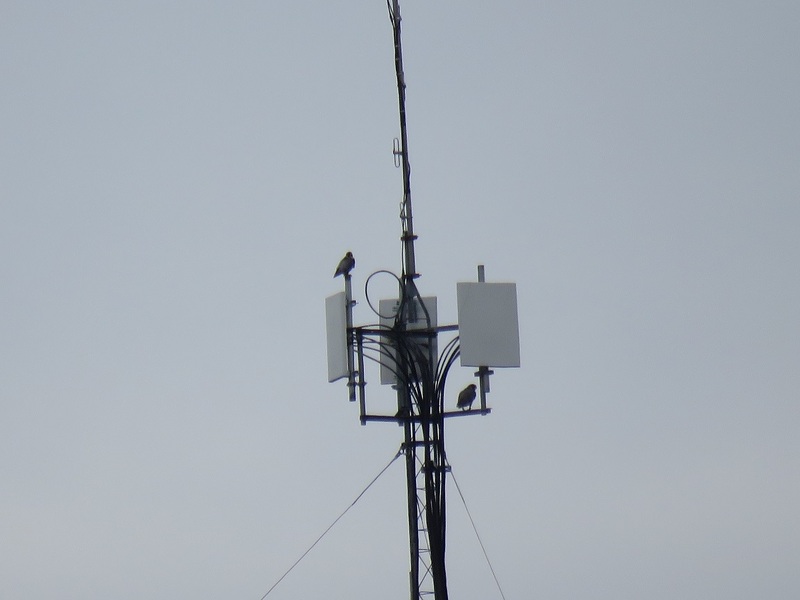 Hopefully Billie will find a new mate soon. 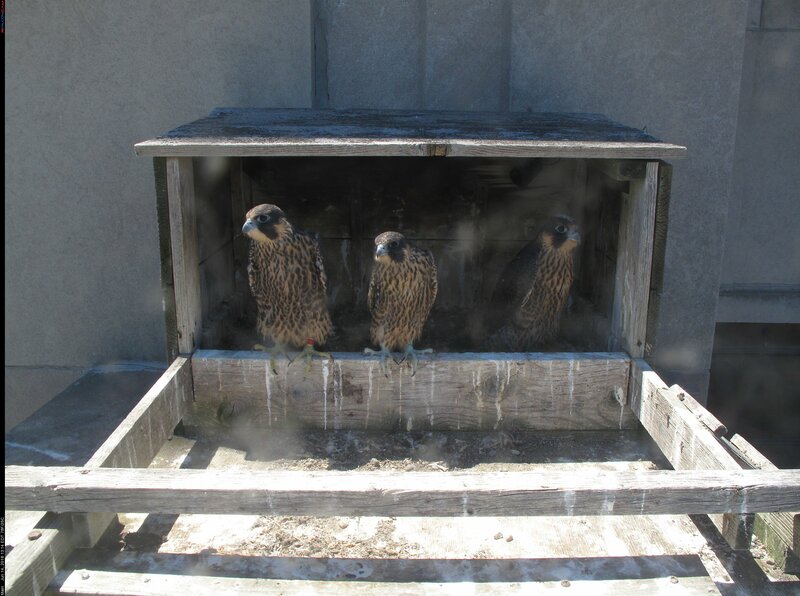 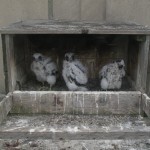 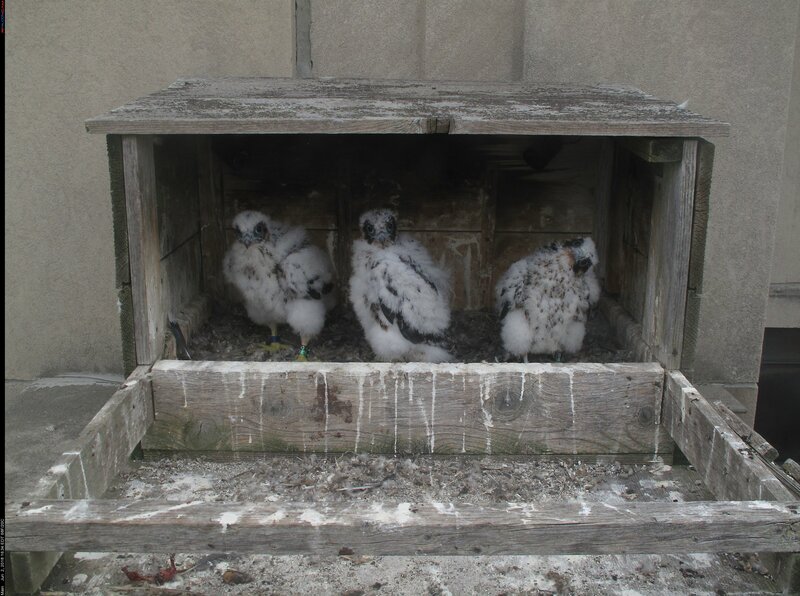 All went well with the banding of our three Rochester Falcon eyases. 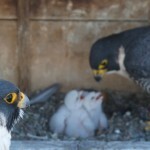 Two girls and one boy! 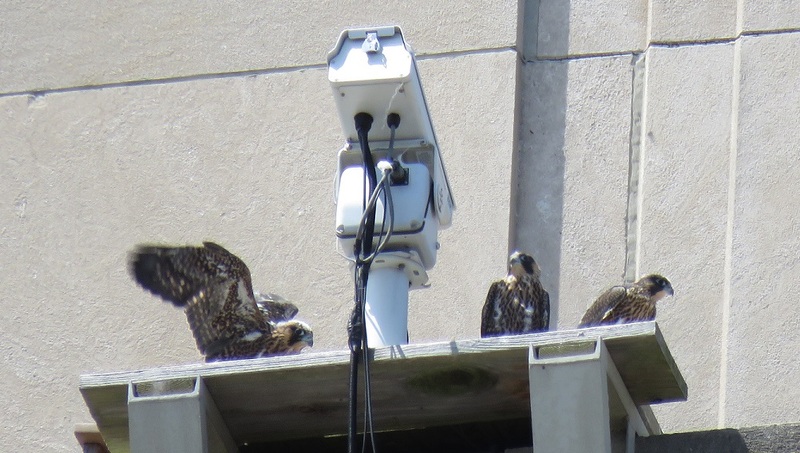 Our friends from the NYSDEC (New York State Department of Environmental Conservation) arrived at the Times Square Bldg and quickly set up to band our three young eyases. 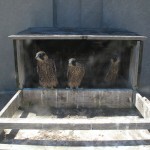 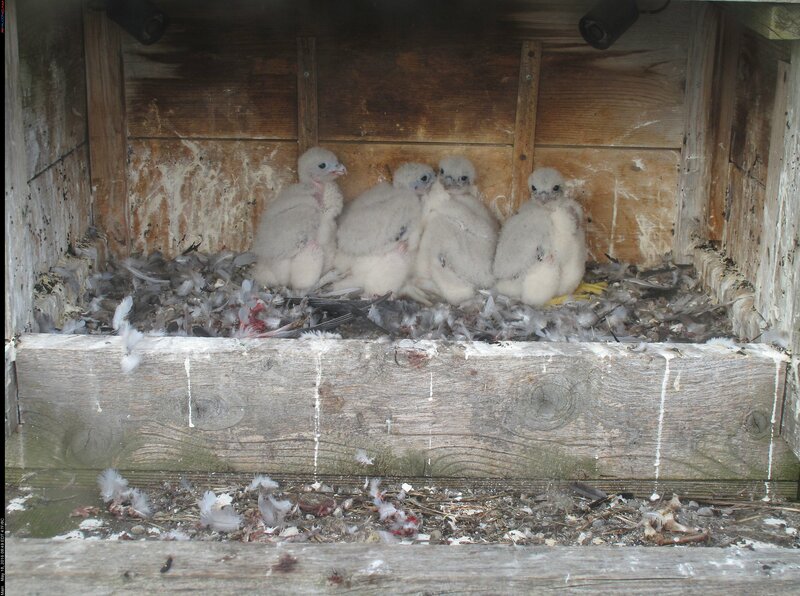 Soon, they were ready to climb the stairs to the door leading out to the nestbox. 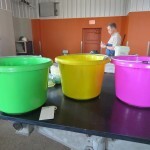 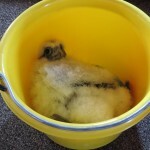 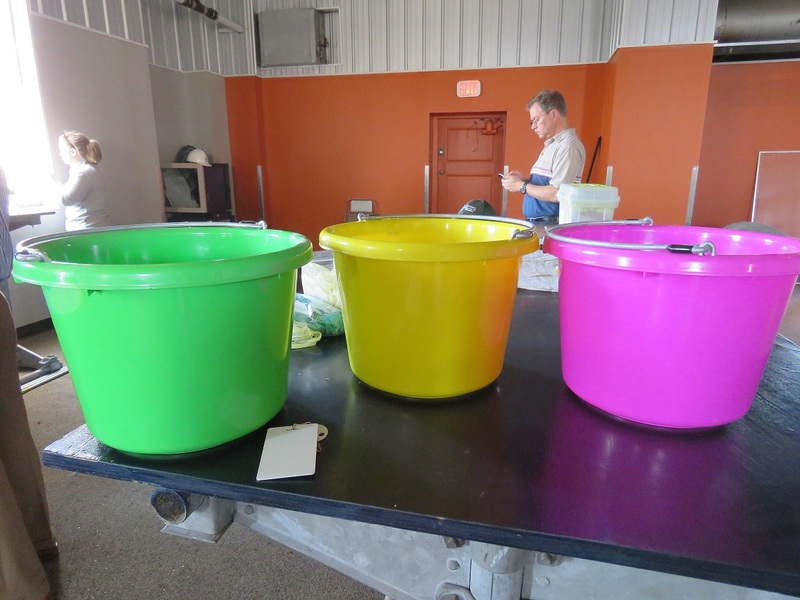 They quickly and safely retrieved the eyases and placed them into brightly colored pails. 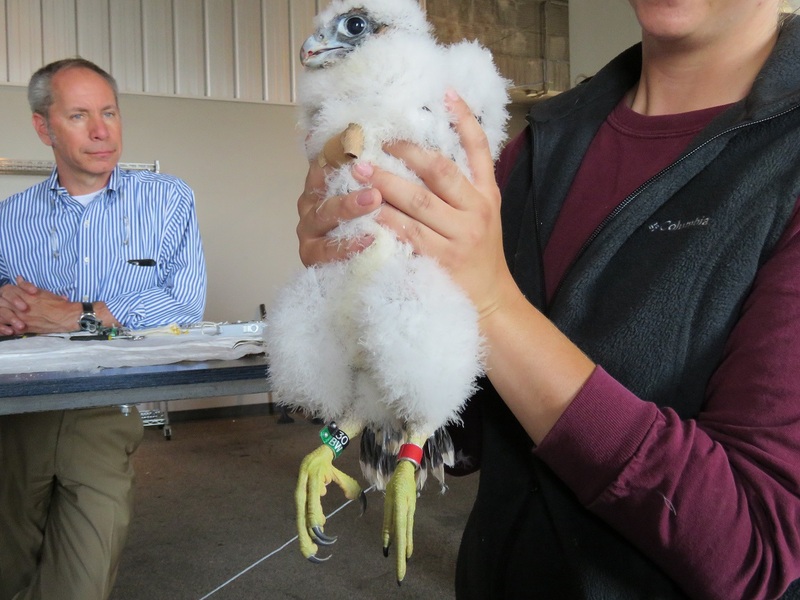 In the banding room, each eyas was placed on the table and given two bands; the USFW band and the NYS band. 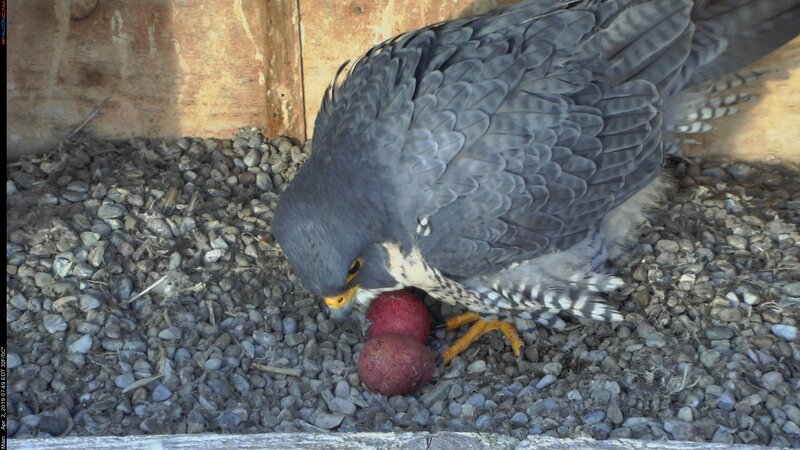 First was a female. 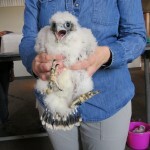 Her name is Sundara! 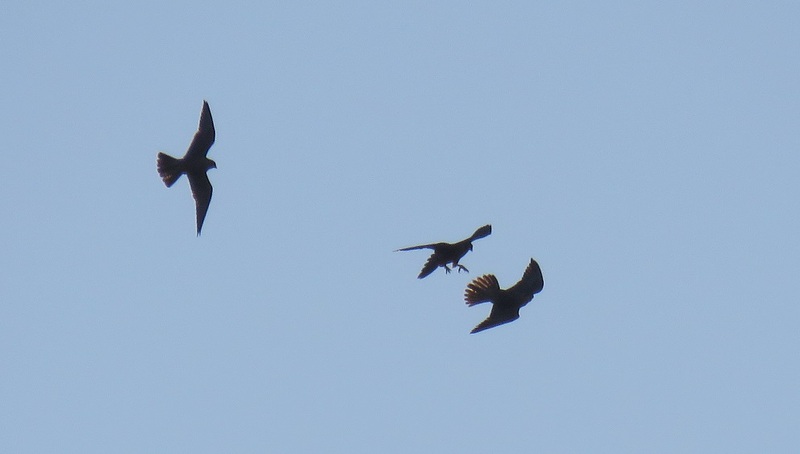 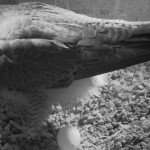 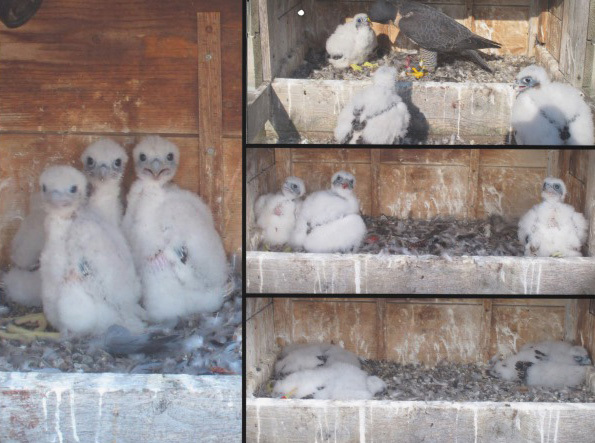 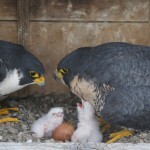 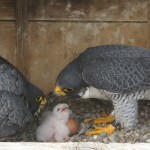 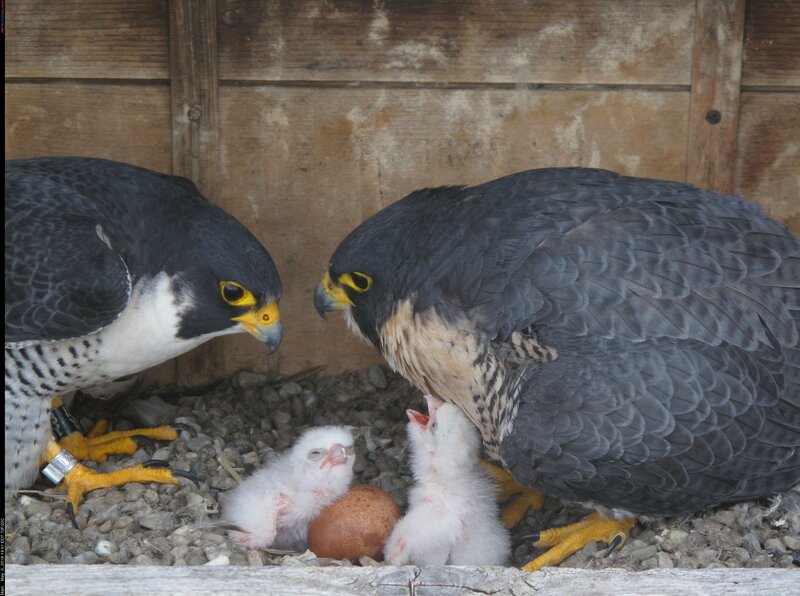 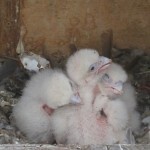 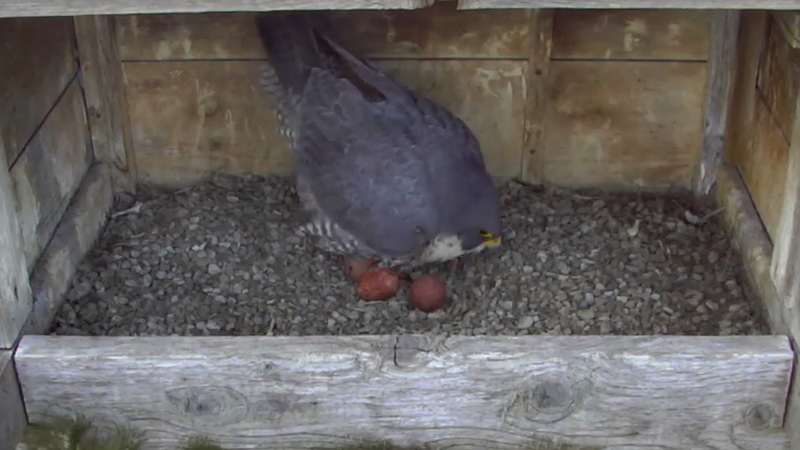 Chosen by long time Rochester Falcon Watcher Carrie Shone. 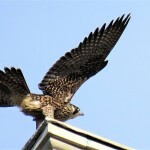 Meaning: Sundara, meaning beautiful in Nepali, based on her mother’s name, Beauty. 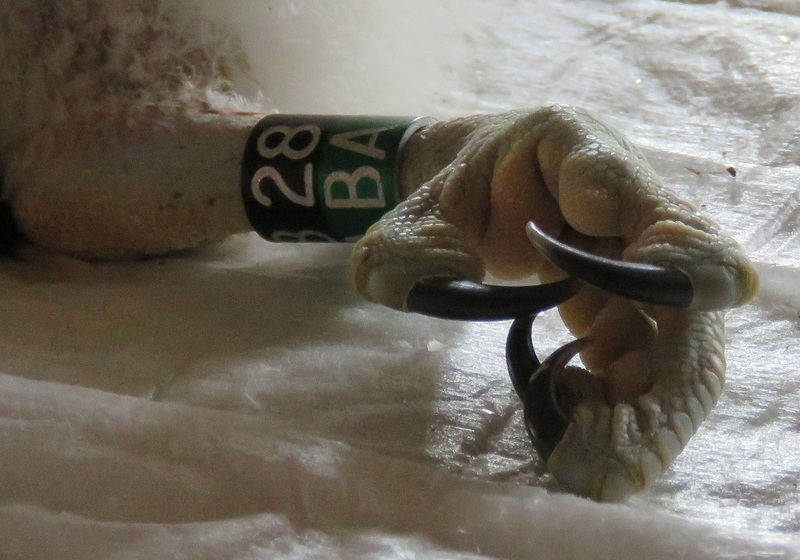 She was given the NYS band Black 90 over Green BA and blue tape was placed over her USFW band. 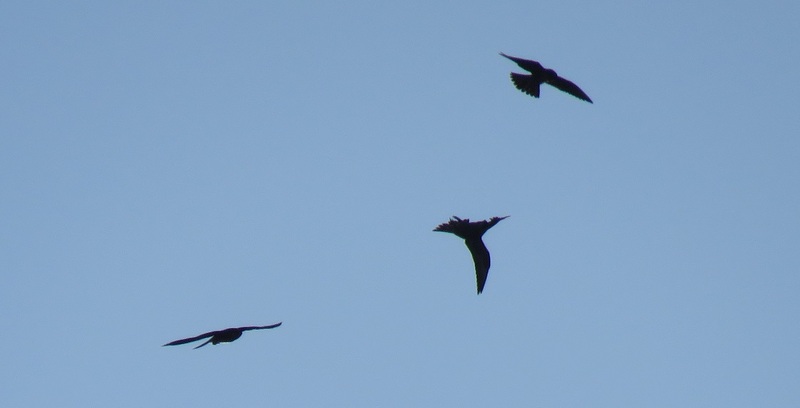 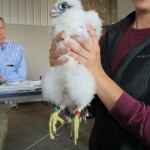 This is something the DEC does for the local falcon watchers, making it easier to ID young fledglings. 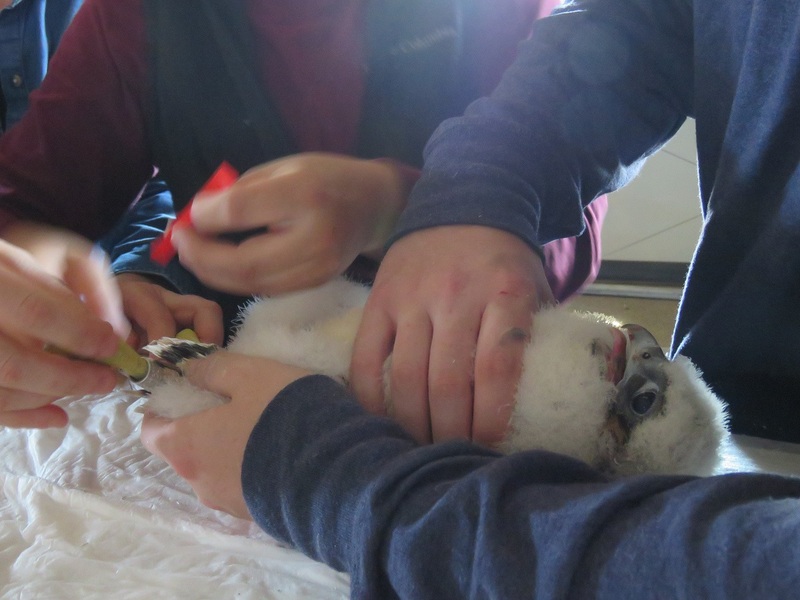 The second eyas banded, was also a female. 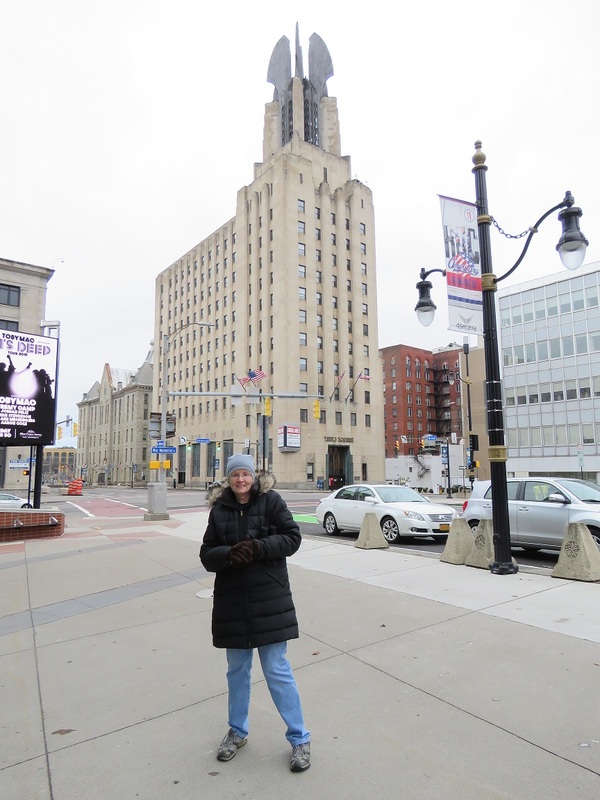 Her name is Letchworth! 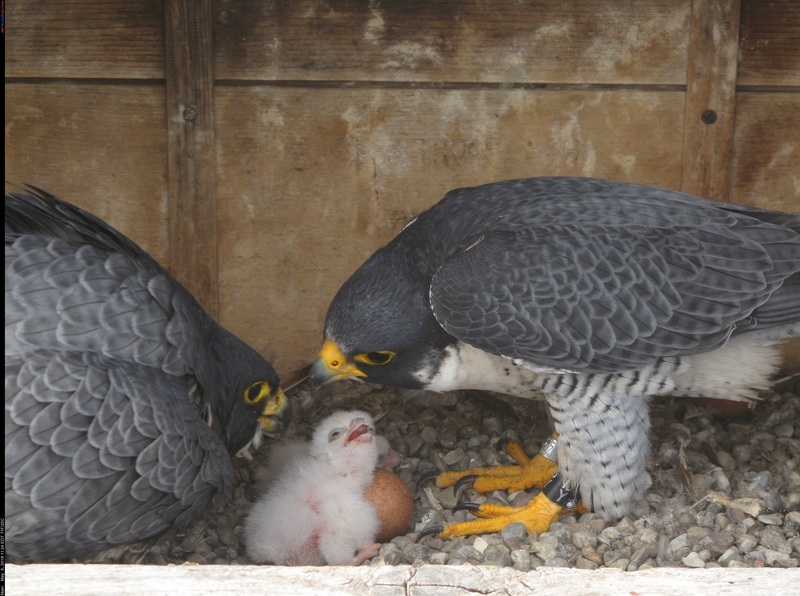 Chosen by Jill Langdon’s Kindergarten Class at Helendale Road School in Irondequoit, NY. 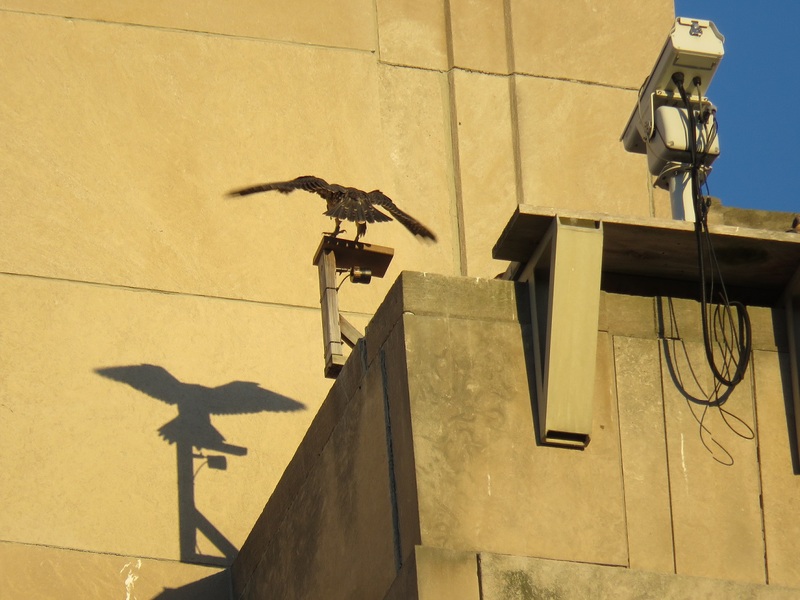 Letchworth, after Letchworth State Park (a wonderful nesting place for peregrine falcons and an absolutely spectacular State Park located only about an hour from Rochester, NY). 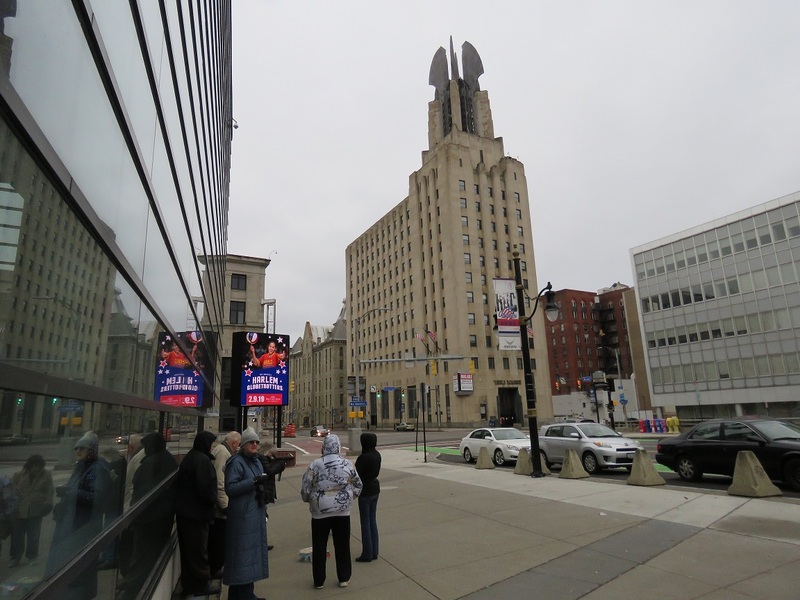 It’s known as “The Grand Canyon of the East. 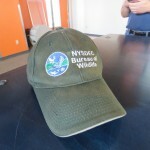 She was given the NYS band Black 30 over Green BW and red tape was placed over her USFW band. 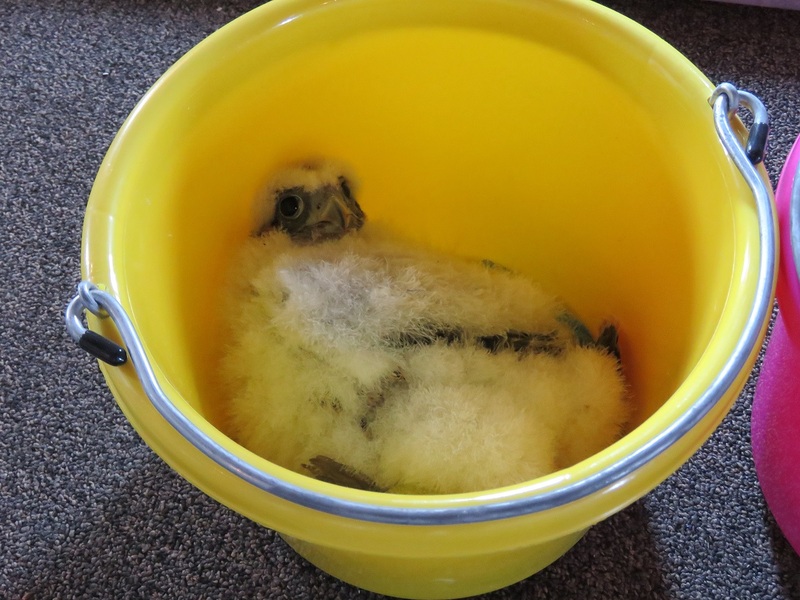 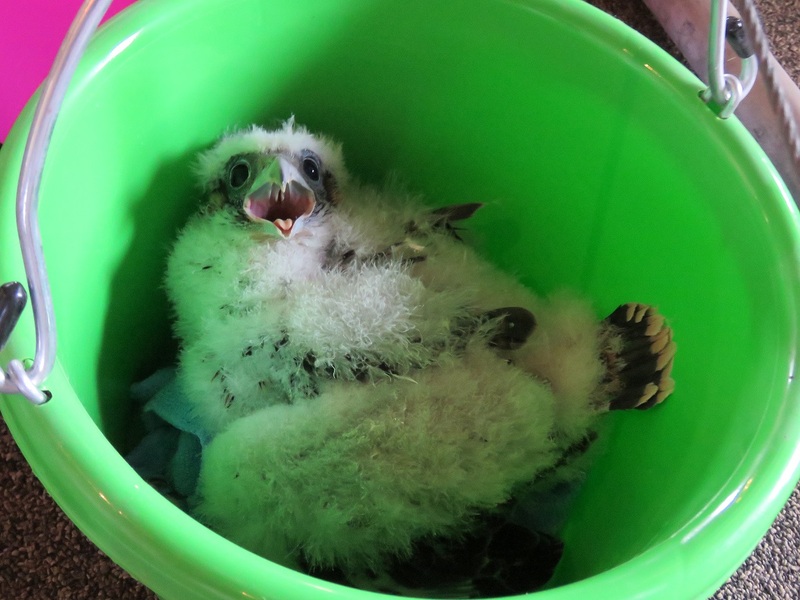 The third eyas was a male and his name is Mike! 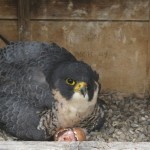 Mike was the male name chosen by the falcon fans on the Rochester Falcon Forum. 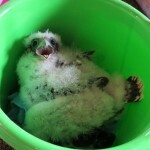 Mike, for the late NYS DEC wildlife technician Mike Allen, who was so involved in birds of prey. 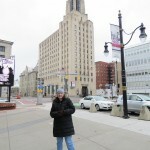 Mike was submitted by Sue Spicer Allen of Rochester, NY. 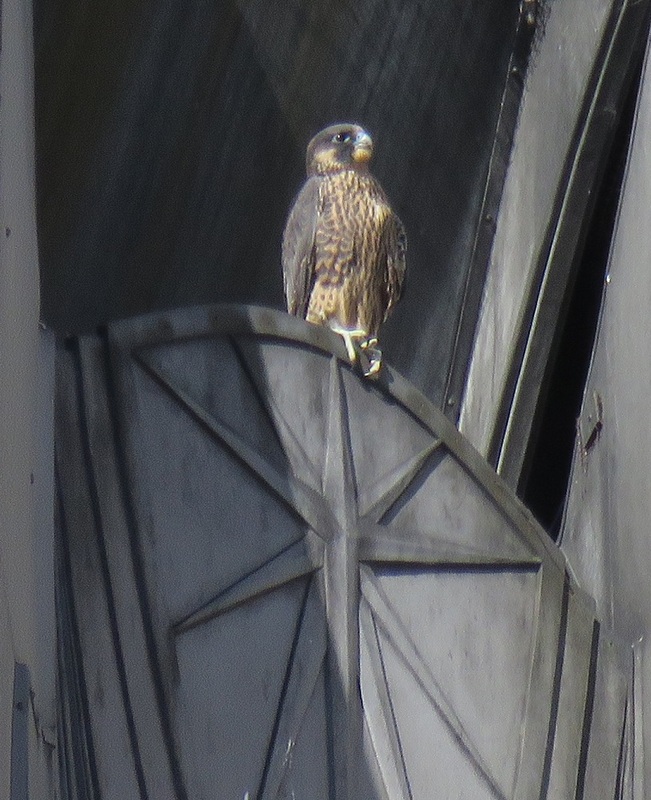 His NYS band number is Black 28 over Green BA. 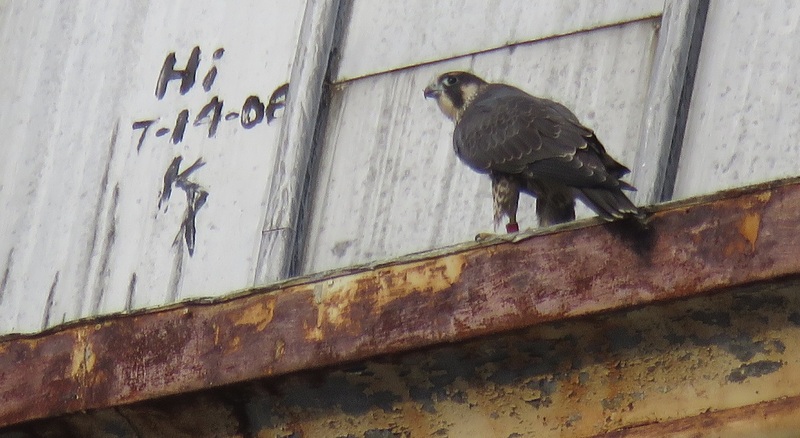 There was no tape placed over his silver USFW band. 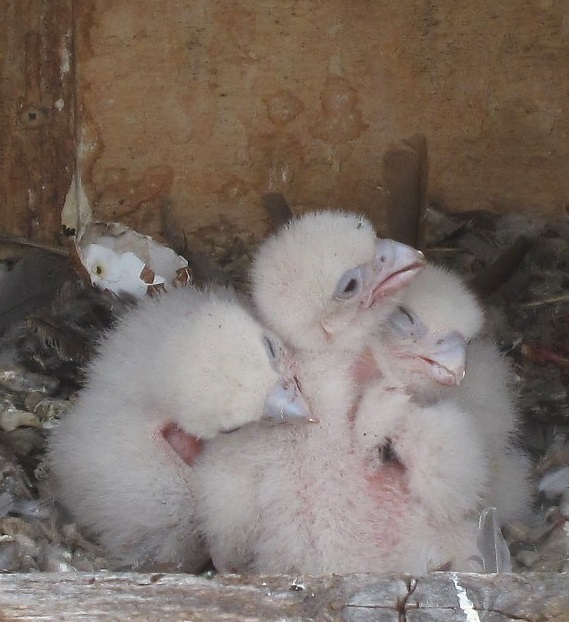 It wasn’t long before the three eyases were returned to the nestbox under the watchful gaze of their parents, Beauty and Dot.ca. 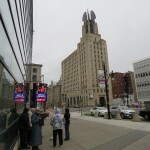 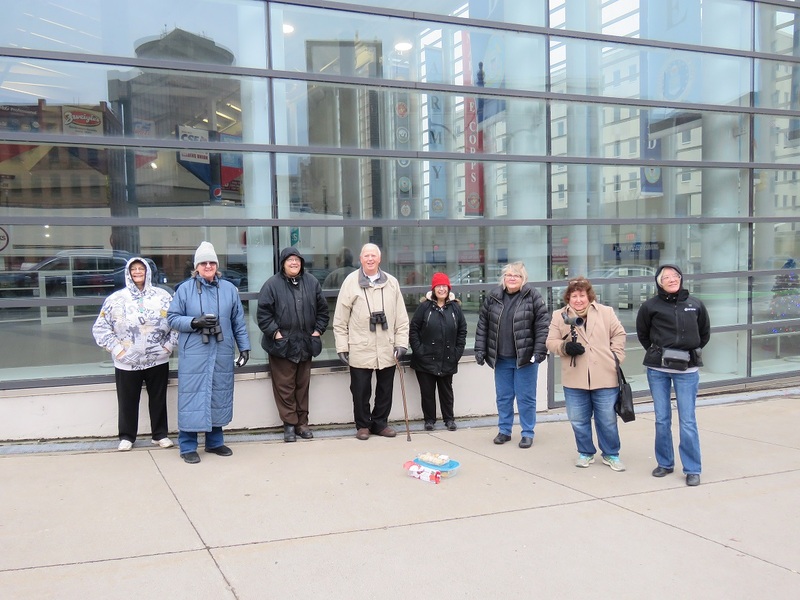 A few Rochester Falcon Watchers had watched the whole event from across the street from the beautiful Times Square Building. 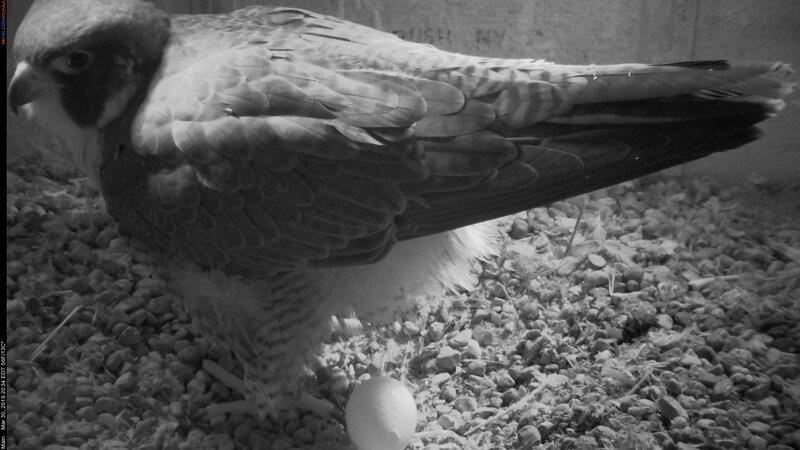 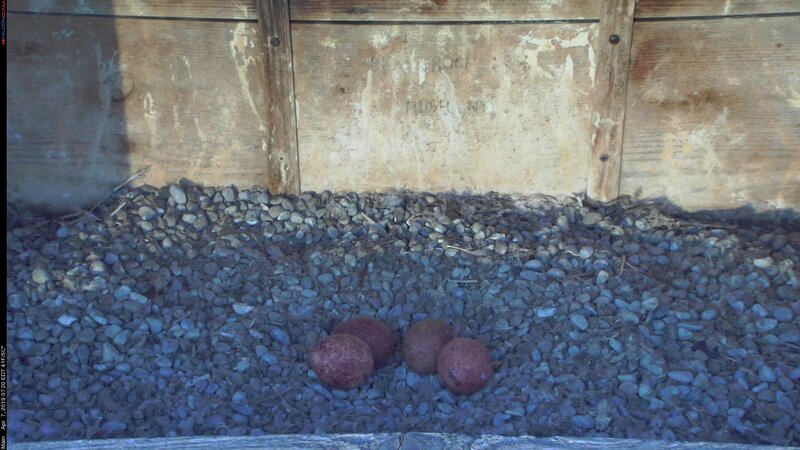 They mentioned that Beauty remained close to the nestbox the whole time, mostly from the main camera. 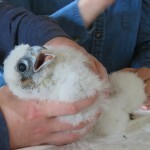 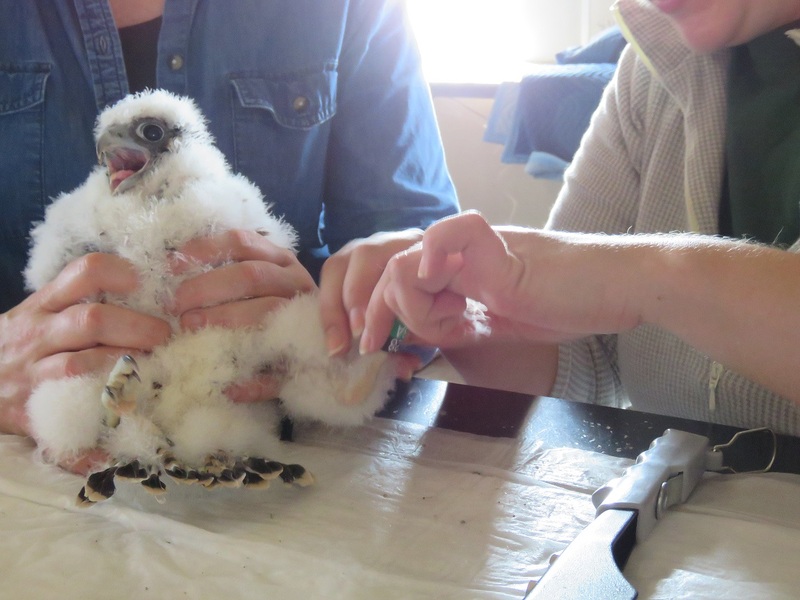 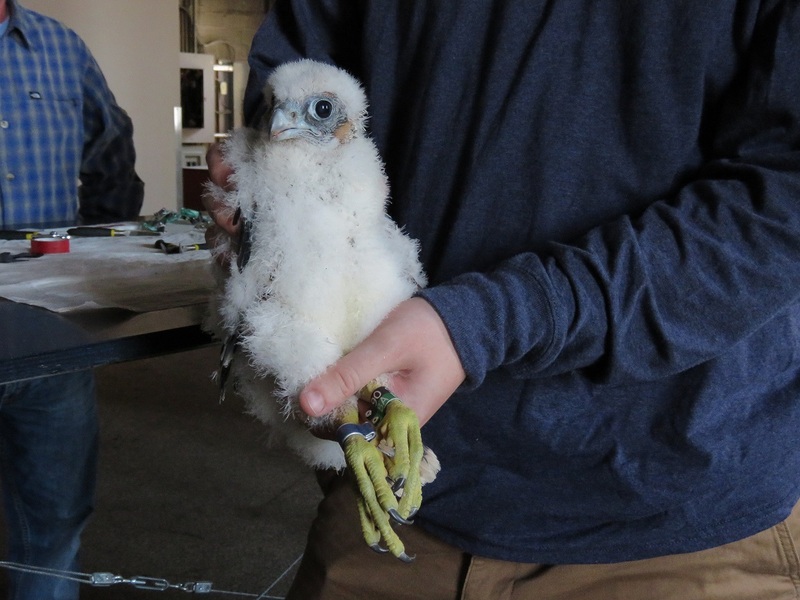 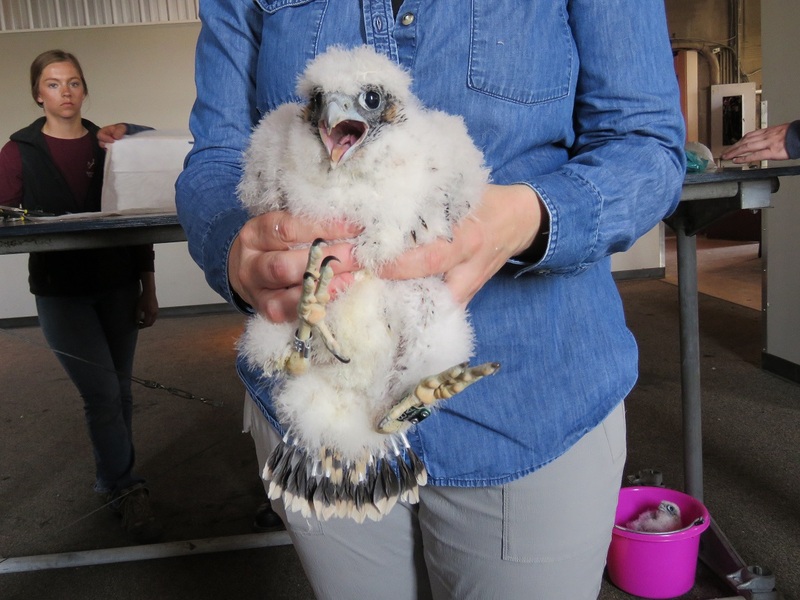 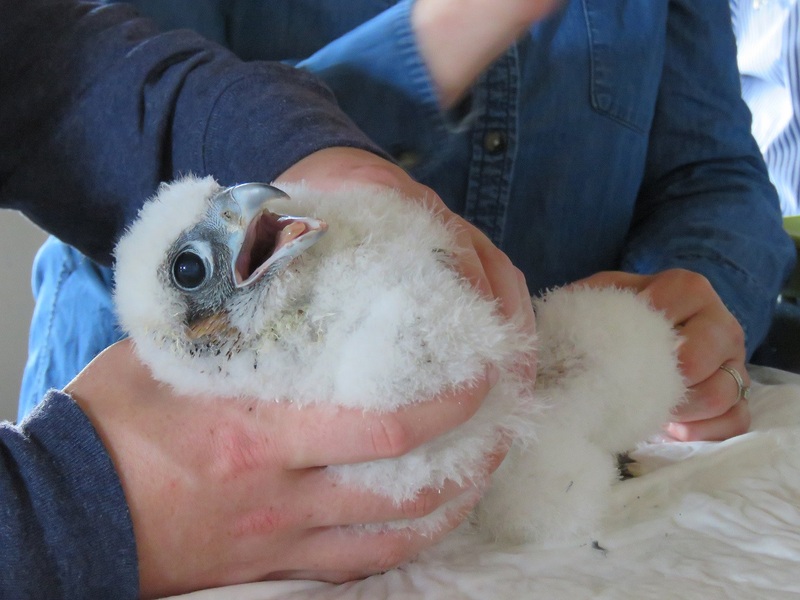 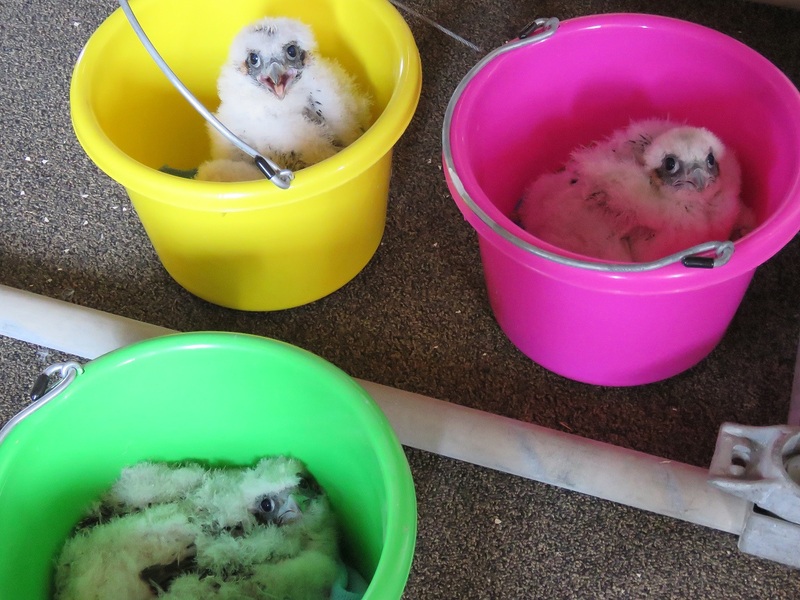 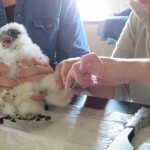 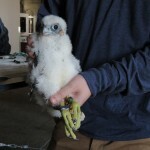 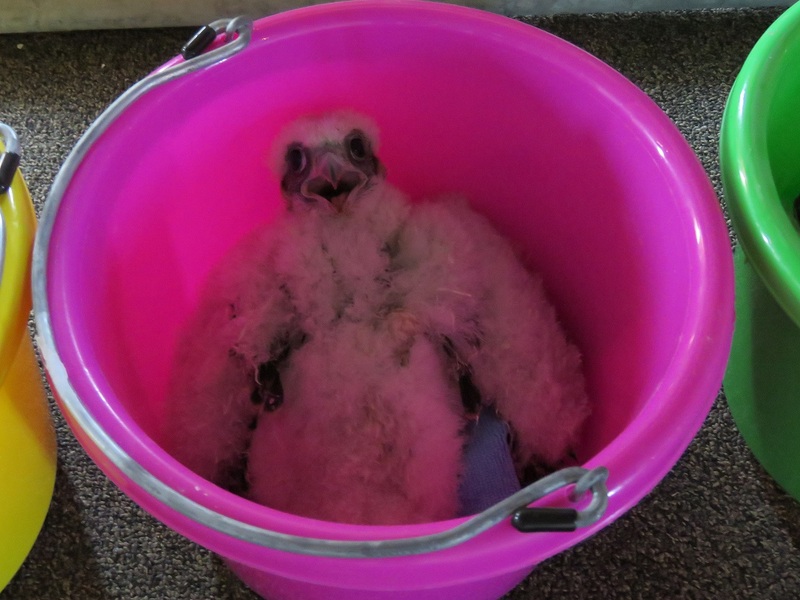 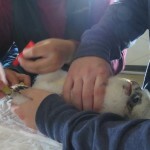 It was another successful banding day for our Rochester Falcons! 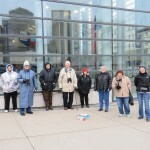 Many thanks to our good friends at the DEC! 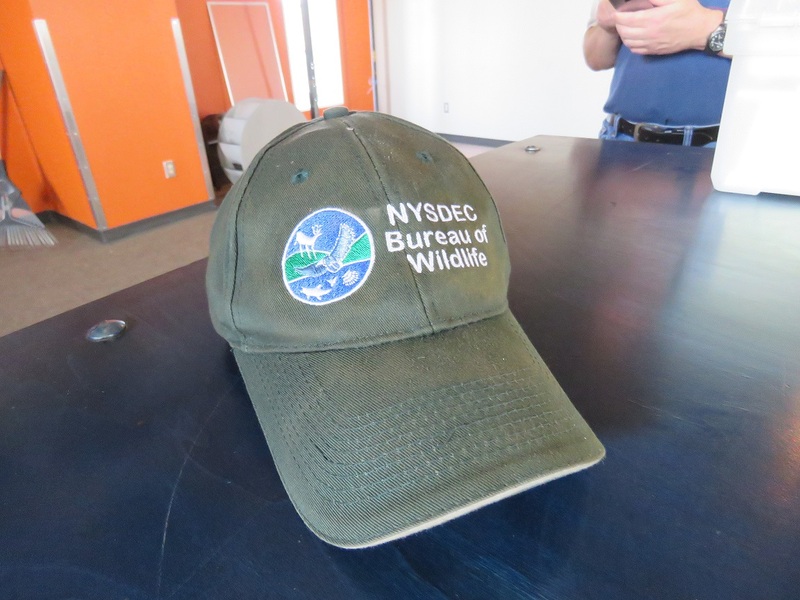 Our friends from the DEC (Department of Environmental Conservation) will be coming to Rochester this morning to band Beauty and Dot.ca’s three eyases. 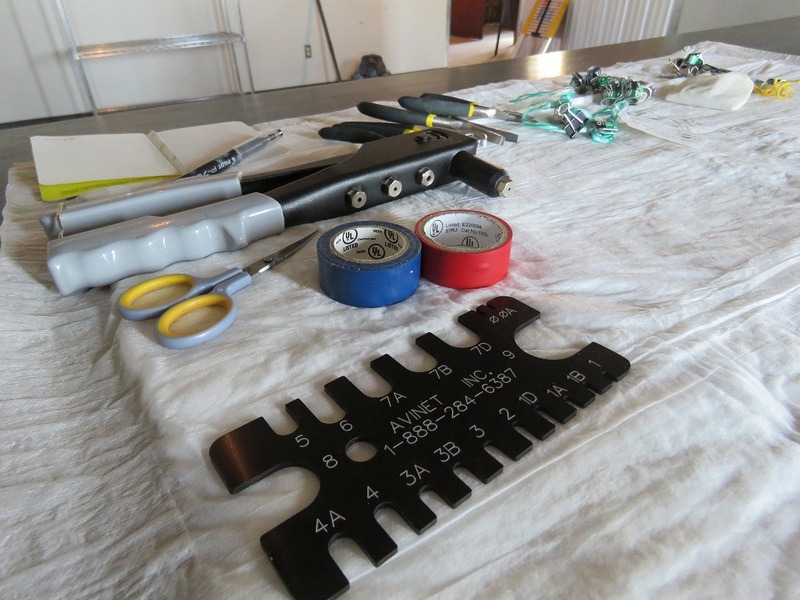 Banding should happen at approximately 10 am. 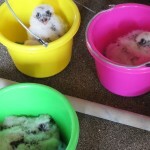 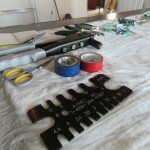 When they are banded, they will be given their chosen names! 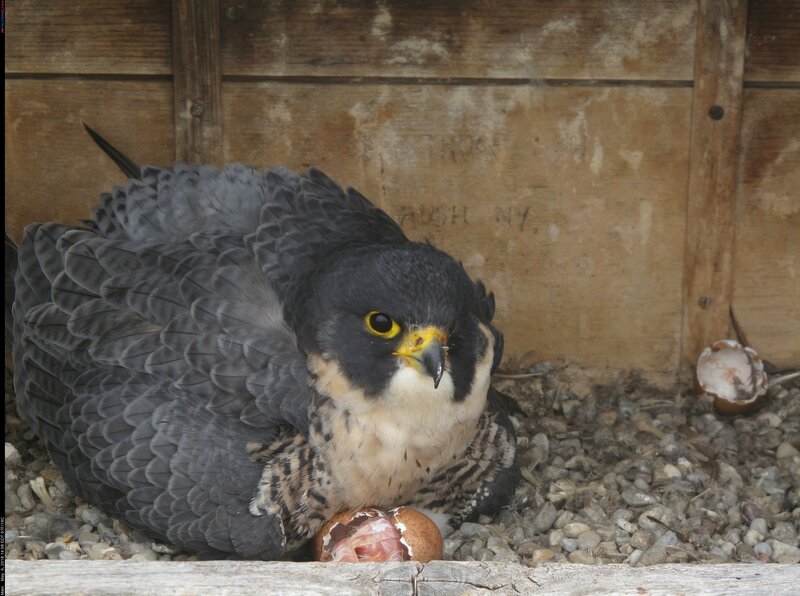 You are currently browsing the archives for the Rochester Falcons category.